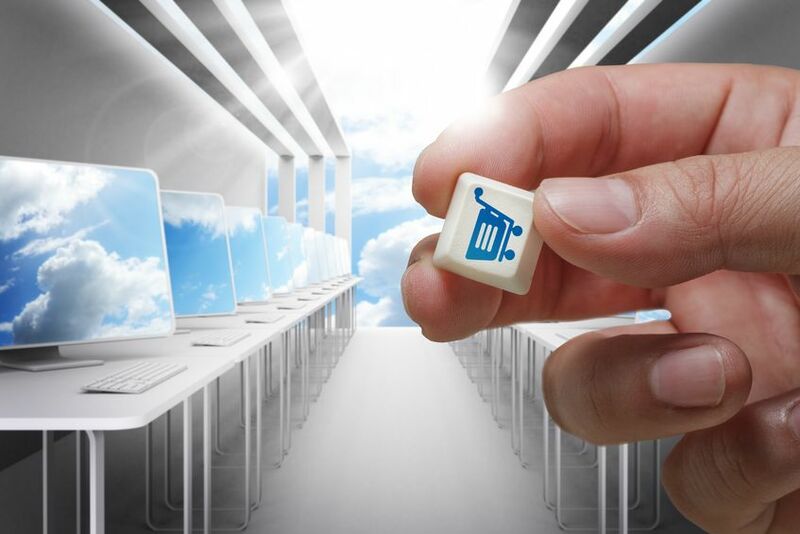 Looking at E-Commerce Platforms – which is the best for your business? There is more to e-commerce sites than simply Amazon or eBay, and if you are thinking of building an e-commerce site for your business, you need to really look at a variety of factors to see what platform will be best for your e-commerce site. Tim Ash, CEO of US company SiteTuners, visited Australia in March at Melbourne's E-Commerce Conference and Expo. At his keynote speech and workshop he discussed gaining a better appreciation for the customer experience and that building an online sales channel by copying a successful competitor isn't as effective an approach as analysing the needs of your site's visitors. Ash commented, "You need a clear, uncluttered experience, you need a way to understand what's important on the page, you need customers to get through your checkout process, you need an easy way to find your products. All these are major, universal concepts." When building your online store you need to think about a selection of elements that will enhance your site and ensure the selling of your product successfully. In looking at e-commerce platforms there are two major categories to consider. These are, Hosted or Self-hosted. Hosted simply means that the company will host your store, while self-hosted means they will provide you with software, but you have to get your own Web hosting. Hosted platforms do tend to be more stable and you will always have dedicated support. The chances of it going down due to hosting are slim to none. The downside of hosted software is that you will have to pay a monthly fee, and sometimes it can be pretty high. Below are some examples of both Hosted and Self Hosted platforms. Shopify is a popular and well-made e-commerce platform. The user interface of the admin panel is polished and user friendly. There are some limitations, however overall it is a useful and functional e-commerce platform, that does all it should. The main downside to this site is the limited ability to change the checkout page. There is some control with it, although it is minor. So if you're trying to design the checkout page to be exactly how you want, Shopify is probably not for you. In fact, no hosted solution will offer a customizable checkout process. Despite this, Shopify has great add-on apps. Just like your smartphone, Shopify has many apps that you can download and install on your store, which extend the default or introduce new functionality. Their entire app process is set up much better than the competition and they have the most available apps, too. Price wise it is quite reasonable and depending on which plan you go for, the higher the plan the lower each transaction fee is. Visit http://www.shopify.com.au/ for more information. BigCommerce is similar to Shopify and although you can customize it slightly, it lacks the total control of Shopify. It seems like you can implement Google Trusted Stores and Product Feed with their built-in functionalities, but trying to implement a different system would most likely be out of the question. It does have a good user interface and it is easy to navigate. This is an e-commerce platform that has been around for some time, and a large majority of big e-commerce websites, use this platform. There are some issues with this platform however, including difficulty in customizing your requirements. It does have plenty of features and then some, but the user interface is not friendly at all. Another big issue many stores face is the slow performance rate that arises on Magento. There's many different things you can do to try and fix the problem, but the fact that you have to specifically fix the issue is already a bit of a red flag! Magento appears as a slow and sluggish platform and unless you spend hours or days playing around with caching extensions and settings, you probably won't be happy with its performance. Woo Commerce is used in conjunction with Word Press sites. Comparing WooCommerce to Magento is difficult because WooCommerce is a WordPress plugin so it depends very much on WordPress. You cannot use WooCommerce without WordPress. WooCommerce is much better than Magento because it offers ultimate customizability. Anything you can do with WordPress, you can do with WooCommerce. As with anything WordPress, the resources available are endless. You have access to millions of themes and plugins to do exactly what you want. Should you need something custom for your e-commerce site, there are many quality developers waiting to work on it! Look at http://www.woothemes.com/woocommerce/ for more information. Whether it's a Hosted or Self - Hosted e-commerce platform you are after, it's important to enhance your site with the best shopping solution for your business to ensure the selling of your product is successful online. If you would like any assistance in building your e-commerce store and making it a viable business venture contact Central Coast Web Design on 434143313.